Happy 40th birthday to us! We are celebrating our 40th anniversary all year long and we really have a lot to celebrate. 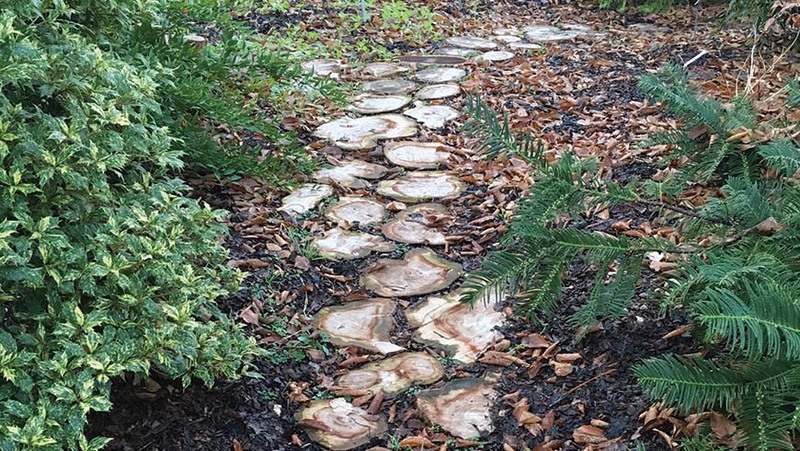 In just a few short decades, the JC Raulston Arboretum has become one of the most respected and influential gardens in the country through our support of the green industry, incredible plant collections, and powerful education programs. We've helped build North Carolina into one of the top nursery production states in the country and we're always looking for new ways to help strengthen the industry and create new plant lovers. Our education focus has grown from the industry and students to include homeowners over the years. In the last several years, our programming has expanded even more to reach children and families, helping create the next generation of gardeners. Check out our calendar of events and programs for the year and you may be surprised at the breadth of our education offerings which serve everyone from the most knowledgeable professional to the neophyte gardener. This year is packed with events and programs that celebrate our history and look forward to the future. We are especially excited the NC State University's D. H. Hill Library will be featuring a retrospective on J. C. Raulston based on long-time JCRA member Bobby Ward's book Chlorophyll in His Veins with a kick-off event scheduled for March 18. Keep an eye out for more special events all year long including some great symposia and other events aimed at helping you see the JCRA in a new light. The gardens continue to evolve and visitors continue to tell us how much they see and experience every time they visit. We've made the garden more accessible to all visitors over the years and have been a leader in creating a sustainable landscape from geothermal wells to NC State University's first green roof. New gardens continue to serve the function of helping us evaluate plants for Piedmont gardens, and we raised the level of display with each construction, including our new Finley-Nottingham Rose Garden with Gothic arches and bluestone paths and the award-winning Frank Harmon design of the Lath House. New garden additions planned for 2016 include a yurt for summer camps and other family programming. With six weeks of summer camps this year, we really needed more space for programming and thanks to generous gifts from long-time JCRA volunteers and supporters—Richard and Amelia Lane and David and Karen Duch—we will be able to create a fun and unusual space nestled in the garden for camp participants. The other big garden news is that the new Pedestrian Entry Gate is on schedule for completion by early summer. The Arboretum will finally have an entrance worthy of all the outstanding gardens and programs contained within our borders. The 12' wide stainless steel gate will let everyone know that they have arrived at a true destination. This inviting front door is just what we need to welcome visitors, new and old, to the garden for the next 40 years. Aucuba trials were planted and observations are underway in the southeast corner of the JCRA just beyond the Color Trials area. 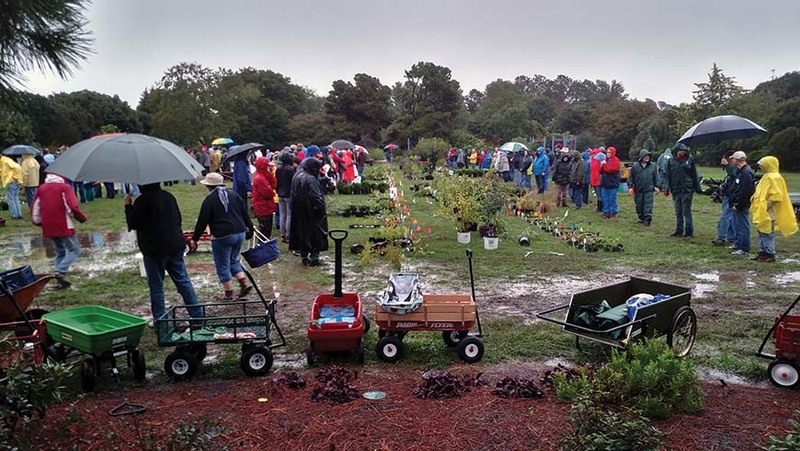 Rain did not stop over 300 Friends of the Arboretum from attending the JCRA Annual Plant Distribution in October to pick up their free plants. This is one of many membership benefits. 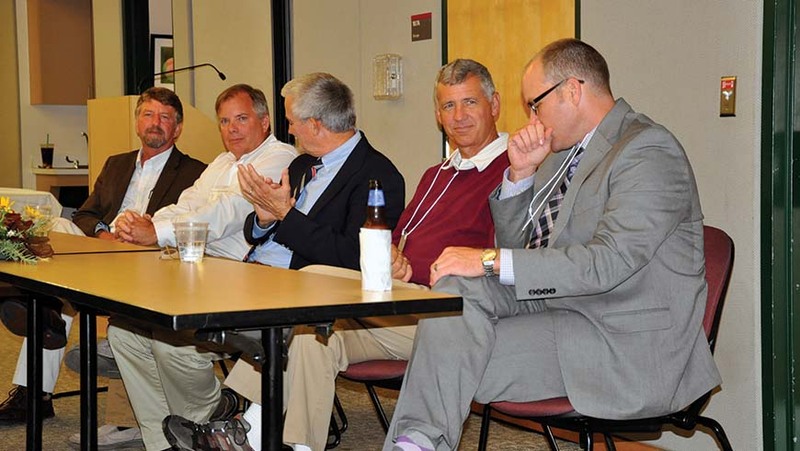 Over 100 people enjoyed an Evening with the Plant Breeders in October, with stories from five nationally recognized plant breeders, Tom Ranney, Tim Wood, Denny Werner, Tony Avent, and Richard Olsen (left to right). The JC Raulston Arboretum is fortunate to have many talented friends and donors. Here's a couple that made news recently. At a time when involvement in plant society memberships has been declining, Joan Matthews and others have successfully revived the Central Carolina Chrysanthemum Society. A member of the JC Raulston Arboretum, Joan is a chrysanthemum enthusiast who is dedicated to promoting and growing exhibition mums. These exotic varieties have striking and unusual flowers and are quickly becoming a rare breed no longer widely available. Her efforts and love of exotic mums has been recognized in Country Gardens, The Chrysanthemum, Tarheel Traveler, Walter magazine, and even the Washington Post. The JC Raulston Arboretum and the Department of Horticultural Science have selected Tom Ranney, Ph.D., to be the next J. C. Raulston Distinguished Professor. The J. C. Raulston Distinguished Professorship was established by Meredith and C. D. Spangler, Jr., in 1998 in honor of the late J. C. Raulston. Previous honorees include Robert Lyons, Ph.D., (1998) and Dennis Werner, Ph.D., (2006). This professorship was created to enhance the global research, teaching, and extension programs at NC State University. 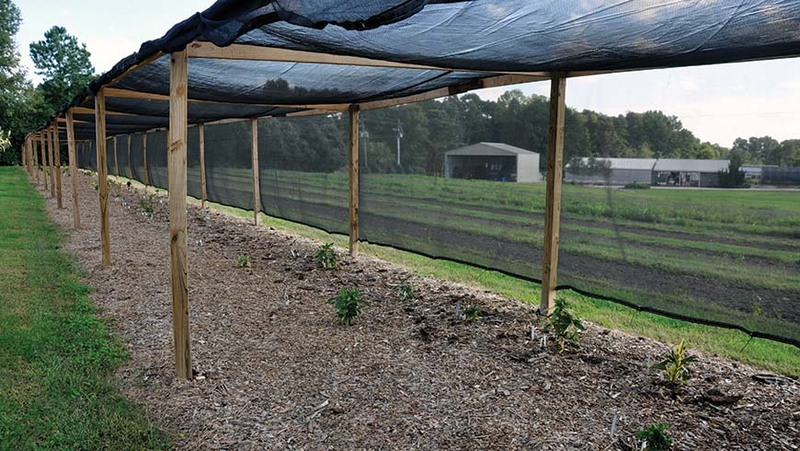 Based at the Mountain Horticultural Crops Research and Extension Center in Mills River, N.C., Tom and his team have created valuable new ornamental and bioenergy cultivars, resulting in economic development and competitive advantages for the horticultural industry. Most of our members know we try to support the N.C. nursery industry by evaluating and distributing plants that we think they might like. We get plants into the nurserymen's hands in a variety of ways, but a longstanding tradition has been to pass out plants at the North Carolina Nursery and Landscape Association's Summer Green Road Show. Each year, a packet of plants is put together to distribute to nurserymen so they can evaluate the plants and perhaps down the road include them in their product lines. Our 2007 distribution of the weeping boxwood called 'Unraveled' has led to it becoming an easy-to-find plant in N.C. nurseries and plenty of other plants have traveled that same path to the nursery bench. This spreading form of boxleaf honeysuckle (page 4 header photograph) makes a low evergreen mat of tiny, deep green leaves on a spreading plant. 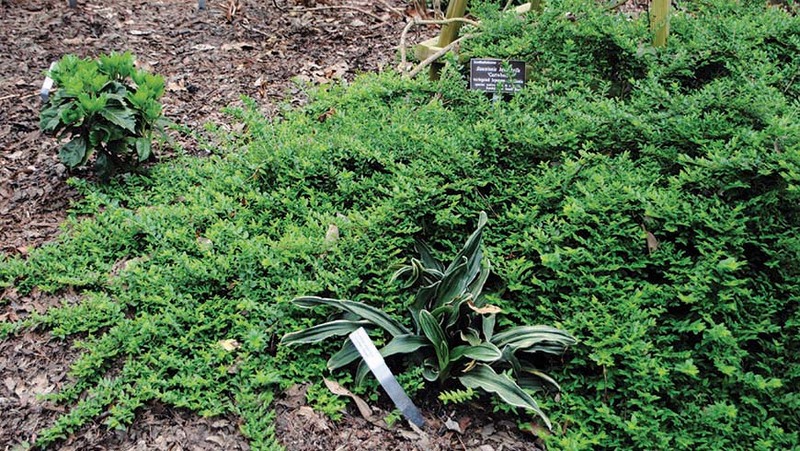 It's tolerant of sun or shade and can be used as an excellent, low-care ground cover. It can also be pruned into more of a low shrub or small hedge. 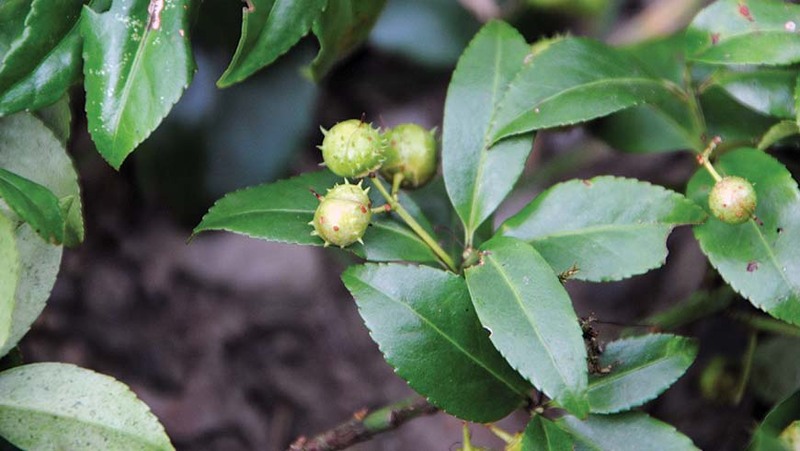 We've found it to be among the best of the selections available of this species for Southeastern gardens and think it should be more widely used, especially in place of the disease-prone low-growing cotoneasters. 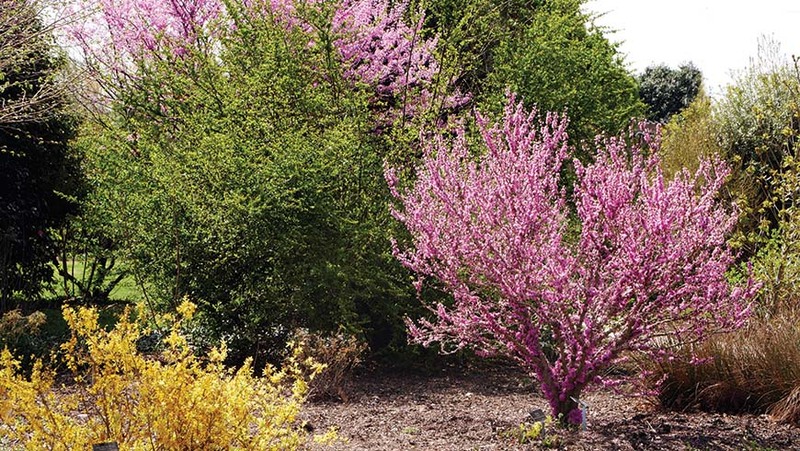 A flowering shrub that is not for the faint of heart. Creamy white margins on each leaf are only the beginning. The foliage is curiously puckered and contorted with the central green portion growing larger than the constricting white margin. The overall effect is actually quite nice with a mound of foliage that sparkles in the sun and adds quite a bit of texture to the garden. Light pink, tubular spring flowers fade to white for a two-toned flower show. The puckered foliage seems to keep this plant somewhat more compact than typical for the species so expect Weigela florida 'Caricature' to grow to about 5' over time, perhaps larger in rich soils. We originally received this little false holly, or tea olive, from plantsman Barry Yinger in 2010. In his own words—"Exciting new selection of autumn olive with small leaves about 3⁄8" long, on a densely branched, compact shrub. It grows fairly quickly as a young plant until it reaches a foot or two tall, and then more slowly. The small, white, highly fragrant flowers are produced in profusion even on small rooted cuttings; even one plant will perfume a wide area." Excellent choice for the rock garden, trough, bonsai, or the front of the shrub border. The Japanese name means "fragrant princess." Our original plant has grown to a 3' × 3' dense, black-green shrub and is one of our favorite recent introductions. 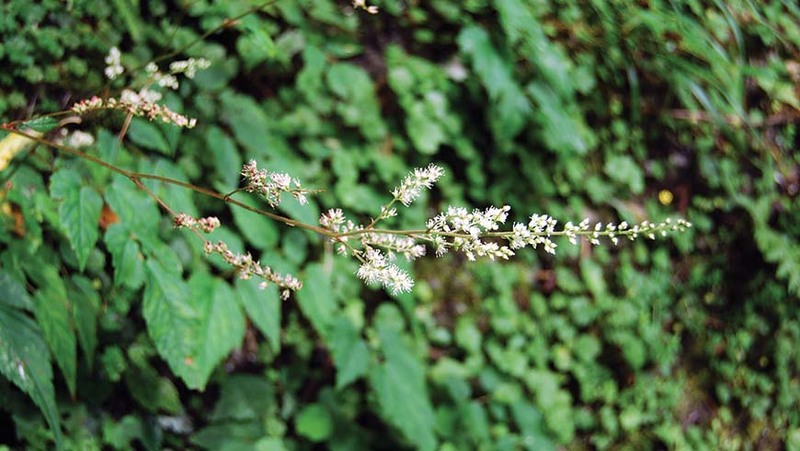 This astilbe (page 3 header photograph), collected in Taiwan at over 5,400' by the JCRA, was growing on damp rock faces where the plant's long, narrow seed heads danced above the compound leaves. We haven't grown this one outdoors for long but think the airy panicles of white flowers should look lovely in a woodland garden. Hopefully, this Taiwan introduction will prove to be happier in the high heat and humidity of the Southeast than many of the other selections currently available. The evergreen Japanese blue oak is not a new plant, but it is still not as widely used as we think it should be. 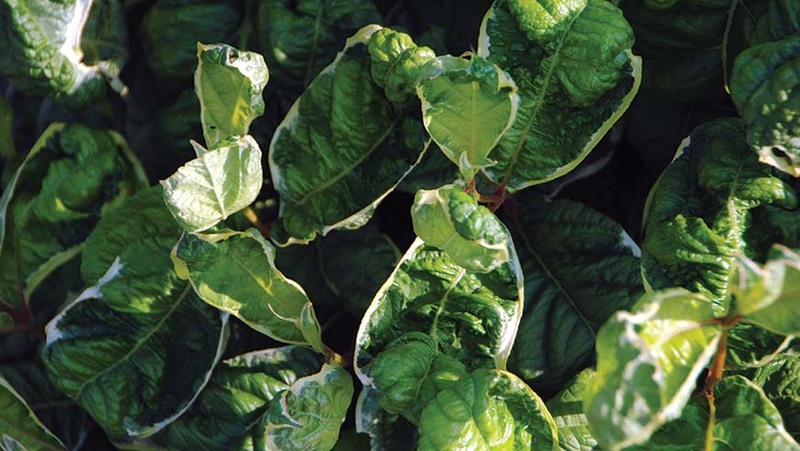 It bears richly glossy, evergreen foliage, paler beneath, and attractive, smooth bark. An old specimen growing in the JC Raulston Arboretum now has many trunks, evidence of its dying back in the 100-year record freeze of 1983 when temperatures plummeted down to -13°F. The seedlings distributed came from an especially nice form noted by retired Polk County Extension agent, John Vining. We collected this seed at high elevation (7,200') in the north-central mountains of Taiwan. It formed a shrubby vine scaling up Picea morrisonensis and was covered in round, spiky fruits like miniature naval mines. These seed capsules turn bright red when ripe and open to reveal the orange-coated seeds. 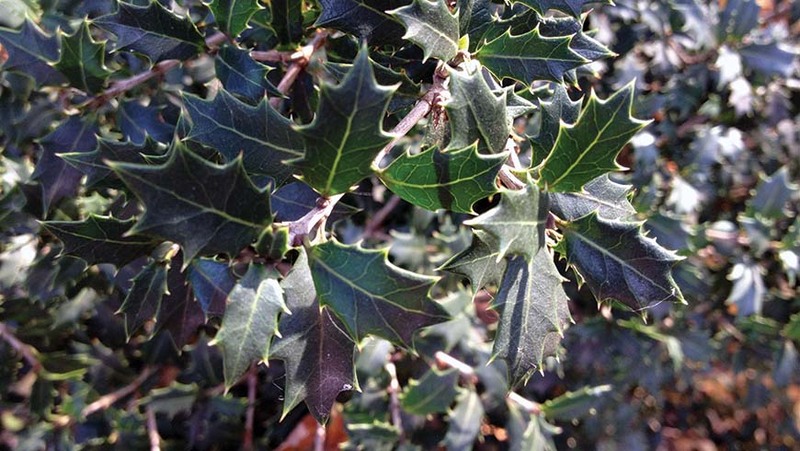 The dark green foliage is listed as deciduous but appears to be evergreen or at least semi-evergreen. New growth on some forms is reddish-bronze as well. We anticipate this plant can be used much like E. fortunei as a ground cover for sun to shade or as a self-clinging vine. This form of green leopard plant makes an evergreen clump of thick-textured, deep green leaves, much like the typical species. 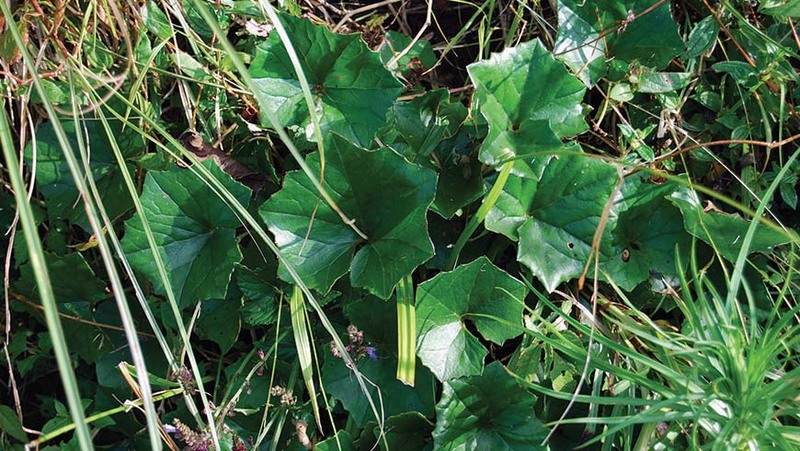 The leaves are more angular or star-shaped than the straight species, making them readily distinguishable. Initial observations in cultivation and in the wild suggest that this will be somewhat lower growing as well, perhaps only 14" or so. 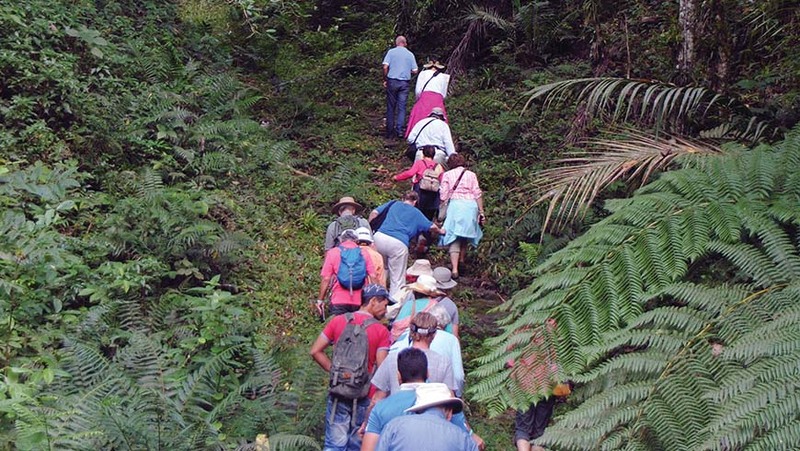 The plants we gave away were from seed collected in northern Taiwan on Yangmingshan at about 3,200'. Plants were growing along road edges in grass and in drainage ditches. Plants should grow best in full sun to part shade. 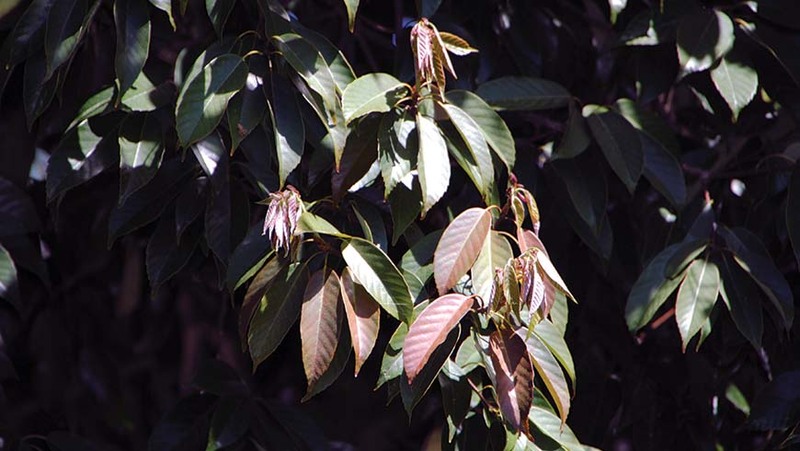 A small to medium deciduous tree bearing pinnate leaves and relatively showy, erect, male catkins surrounding smaller, cone-like female flower structures. The "cones" can be quite showy after the leaves drop. 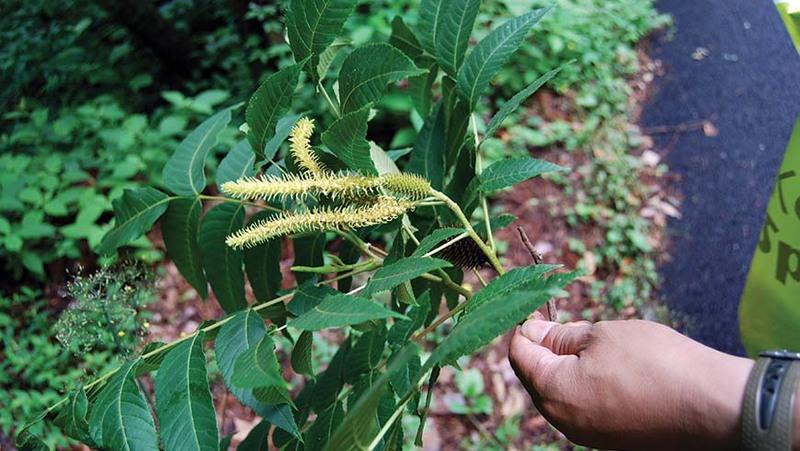 In the wild, it can grow over 50' tall but is more typically 20'–30' in cultivation. It makes a quite elegant tree for small landscapes and should be more widely available. 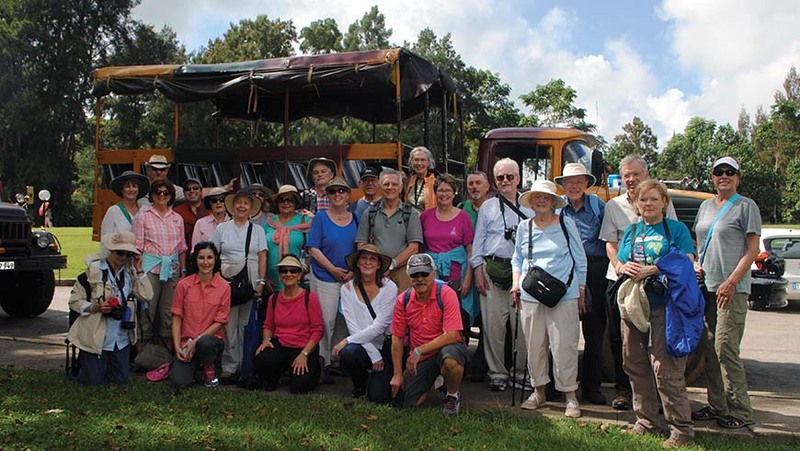 "It's complicated," was the stock response of our Cuban tour guide during the JCRA trek to the land of Che, rum, and cigars when asked about politics, U.S. relations, and many other facets of life in Cuba, but nothing was complicated during our 2015 visit. Twenty-seven intrepid travelers crossed the 90 miles separating Florida from Cuba and stepped into a world that is coming to grips with the modern age. Classic cars vie for space on the road with boxy Russian vehicles and the architecture is an odd mix of old Spanish, mid-century modern California, and 70s era communist concrete prefab. 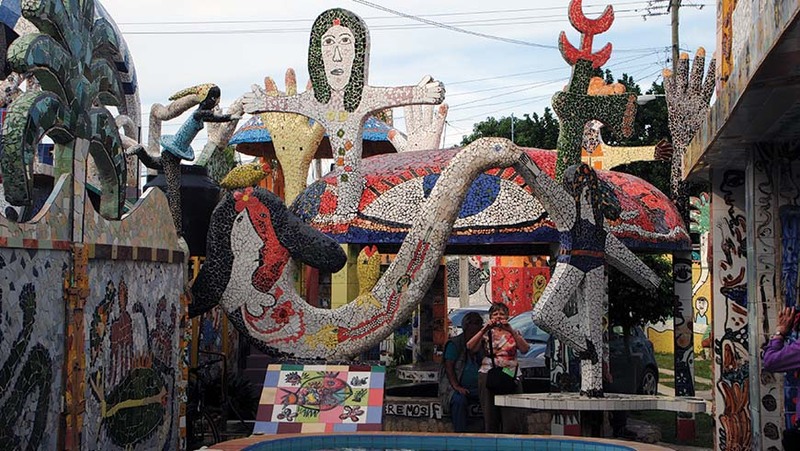 We hit up most of the major Havana hot spots from the old town to Fusterlandia, Revolution Square, and an open-air nightclub to see the legendary Buena Vista Social Club perform. We managed to squeeze in some gardens and natural areas as well, including an amazing trip into the mountains in the back of an old Soviet truck where we had coffee straight from the plantation and a meal amidst sub-tropical splendor. We are finalizing plans for our next trip which will take us to one of the floral wonders of the world—South Africa! During the spring flowering season (late August), we will visit gardens, natural areas, vineyards, and go on a safari to see the big five—lions, giraffes, leopards, rhinos, and elephants. Space will be very limited so contact Sonia Murphy at (919) 513-0637 or sonia_murphy@ncsu.edu if you want to reserve a spot. Don't miss our monthly e-Updates! Please make sure we have a current e-mail address on file. Receive frequent updates and late-breaking news from the JC Raulston Arboretum by subscribing to Cuttings from the JCRA. Subscribe by sending Chris Glenn an e-mail to chris_glenn@ncsu.edu. 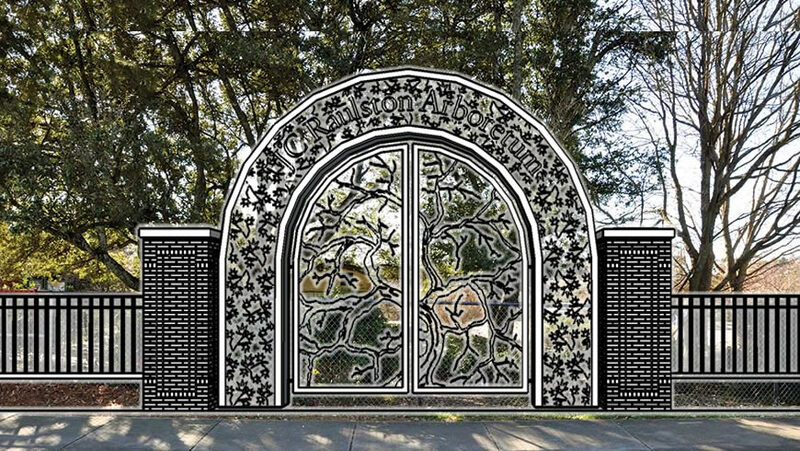 A long-standing goal has been to create an entrance to the JCRA worthy of all the wonderful things happening on the grounds. Over the past 18 months, we've been working to develop a new gateway to the garden and we are ready to begin construction this year. From the outside, there will be the signature brick columns that NC State University has been erecting at all of their gateways onto campus. Ours will include seat walls for folks waiting for the bus or groups gathering for a tour or other event. An arch with our name and a pattern of falling leaves will surround a gate with the silhouette of a Japanese maple. Look for construction to start this winter and to be completed by early summer. First impressions are important! Thanks to a generous gift from Jerry and Nina Jackson, we will have the opportunity to further enhance the experience of our visitors coming through the pedestrian entrance. A circular brick inlay will be installed at the entrance, reflecting the name and image of the Arboretum. The effect will be striking! An example of what has been done on the NC State campus is below. Would you like to help us extend the pedestrian entrance? Look for upcoming opportunities to name the beautiful brick columns that will extend form the entrance. For more details, please contact Sonia Murphy at sonia_murphy@ncsu.edu or (919) 513-0637. 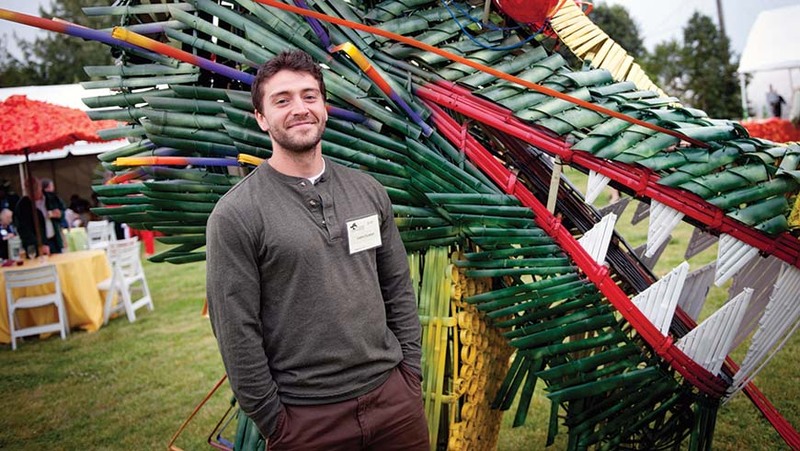 Every summer, a small group of interns gets to sharpen their skills at the Arboretum. Then, off they go into the world. We wish for their future to hold lots of success and happiness, hopefully in the bounteous world of horticulture. We sometimes get to see JCRA interns up close as they become full-fledged professionals. Justin Durango was a JCRA intern in 2012. This year, he began to work in the gardens of the JC Raulston Arboretum and he wasted no time contributing in his own way. If you happen upon him, you may observe him sketching a design on a napkin, installing walkways, or helping craft a bamboo dragon with the same ease (see photographs). His skills in the gardens, creativity, passion for horticulture, hardworking nature, and sense of humor are what we wish for in all JCRA interns. This is a testament to Justin but also to the long history of exceptional leadership at JCRA and in the Department of Horticultural Science. It is yet another sign that friends, volunteers, and members of the Arboretum make up a community that fosters a magical mix of passion for horticulture, work ethics, savoir faire, and solidarity that doesn't just happen anywhere. NC State University's motto "Think and Do" is fully embodied at JCRA. Help us hire additional interns this year by supporting the JCRA Summer Internship Program. To make donations, please send a check to the address below or go to https://jcra.ncsu.edu/jcra-internships/. Make checks payable to the NC Agricultural Foundation and list "JCRA internship" in the memo line. I enrolled in the horticulture program at NC State because of my passion for plants. The JCRA internship program was a unique opportunity to build upon that passion. As it turns out, not only was JCRA a great place to satisfy my passion for plants, but I also found it to be a major lynch pin in the horticultural world. My time working as an intern afforded me a vast network of opportunities that I could have never anticipated, and those opportunities have allowed me to mature as a professional, a horticulturist, and, in general, as a person. There isn't anywhere quite like the JCRA and I feel fortunate to have yet another opportunity to become part of the team. Our 39th year was a great one for the Arboretum. We set records in membership, opened the new Finley-Nottingham Rose Garden, and hired our first Children's Program intern. We did a lot of traveling, including resuming our day trips and leading a tour to Cuba. Over 1,300 plants were installed bringing the total number of plants we've trialed to nearly 40,000 plants of 17,000 taxa. J. C. said that if you weren't killing plants, you weren't stretching yourself as a gardener. We've definitely stretched ourselves over the years. There are many people to thank for their continued support. In an effort to conserve resources, the full 2015 annual report is being offered on the JCRA Web site at https://jcra.ncsu.edu/publications/annual-reports/ instead of printed copies. Hello members—all 2,108 of you and counting! It's time to celebrate! It's time to marvel! It's time to dream of what's to come! Why? Because the JC Raulston Arboretum is 40! For 40 years, we've been connecting people with plants. J. C. began planting on a plot of land, then humbly called "NCSU's Unit 4 Farm" in 1976. 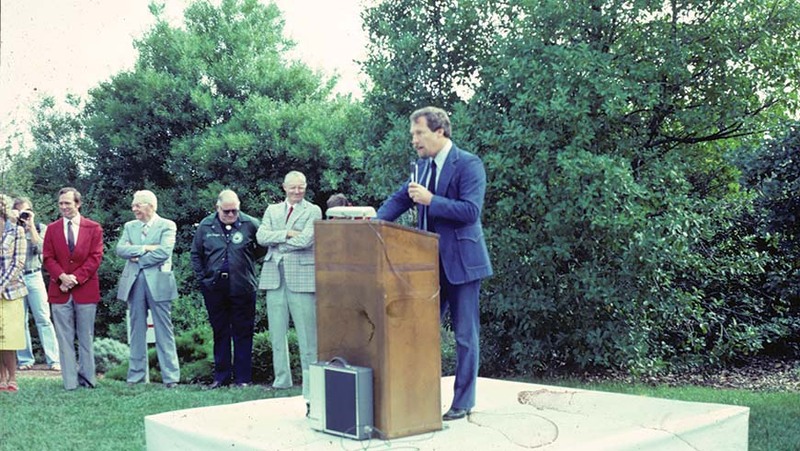 Part of the farm quickly became a garden and by 1980 had enough supporters to start a membership program. Members have played a crucial role in our growth from the Unit 4 Farm to what you now know and hold dear—the JC Raulston Arboretum. In the first six months since establishing the membership program for the Friends of the NCSU Arboretum, we have broken the 50 member level and our hopes are to grow to 200 members during 1981. With that number, we can establish a student internship program to help with routine maintenance of the plantings which will allow my technician, Newell Hancock, to devote more time to propagation and growing of new plants and for construction of new facilities. We thank you for your assistance and interest in the arboretum at this beginning point. For historic purposes, I felt it would be nice to have a permanent list on record of those who were the first members of this group to look back on when we top 1,000 members in 1983? 87? 90? For the full list, visit https://jcra.ncsu.edu/first-members/. J. C.'s message continues to resonate today. Just have a look at our annual report online to get a sense of how far our reach has grown with the help of 2,108 members. 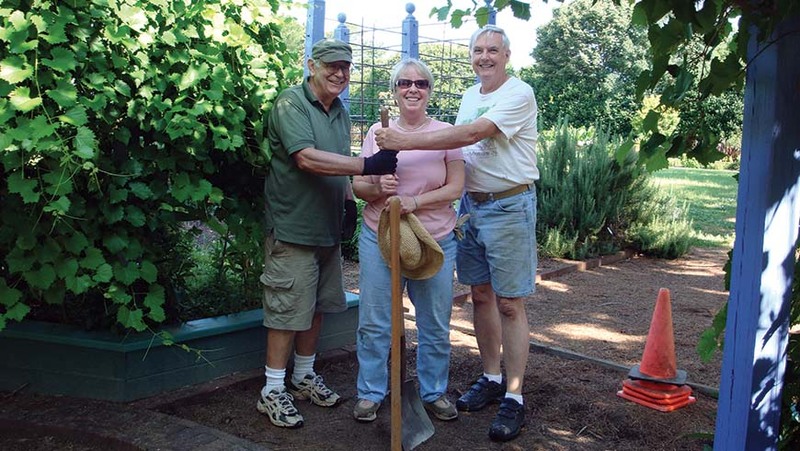 Just as J. C. predicted, increased membership has resulted in garden growth on many levels. Dozens of interns have helped in the garden, buildings have been erected, thousands of people have participated in programs, staff numbers have grown … all because our members support us. Membership is measured by growth—statistics include number of households, number of members, membership donations collected. 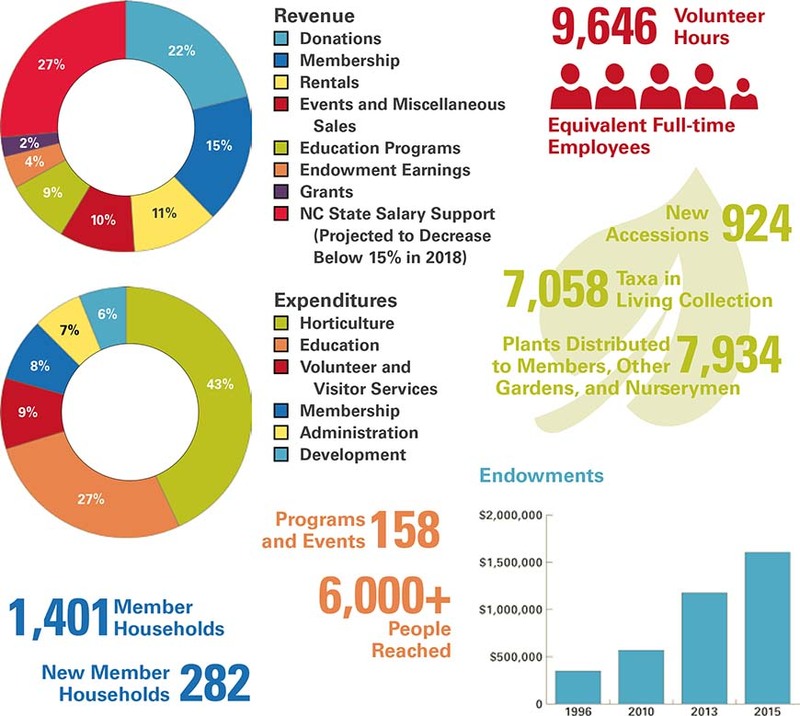 All of these are important metrics, but the one characteristic of the Friends of the Arboretum that I like referring to most is membership longevity. 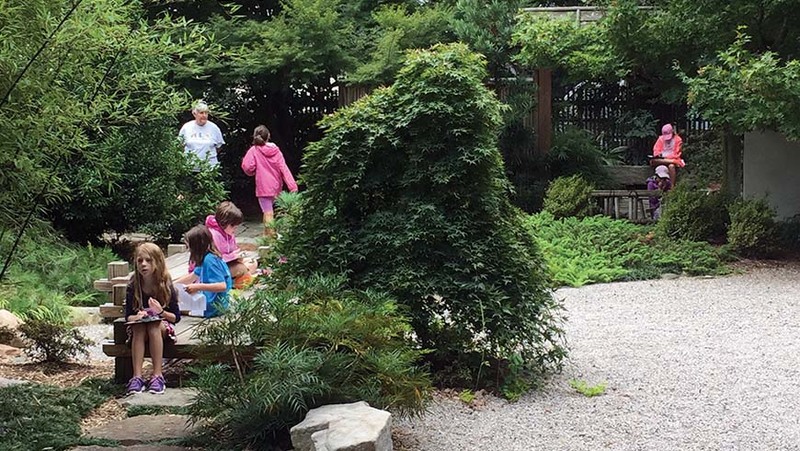 Our membership is deeply dedicated to the mission and vision of this garden. One-third of our members have shown their loyalty for more than a decade. Furthermore, one-fifth have been members for 15 years or more! And yes, I even have the pleasure of knowing more than a few of the members from J. C.'s original list. It is a true testament to the unique and special mission of the JCRA. On behalf of all of us here, we thank you! Your continued support and generosity motivates us to expand our reach. And, as J. C. did in 1981, for historic purposes, we list our members in our online annual report. It will be nice to look back on this list when we top 5,000 in 2018? 2021? 2025? Our volunteers are as special as our plant collection. 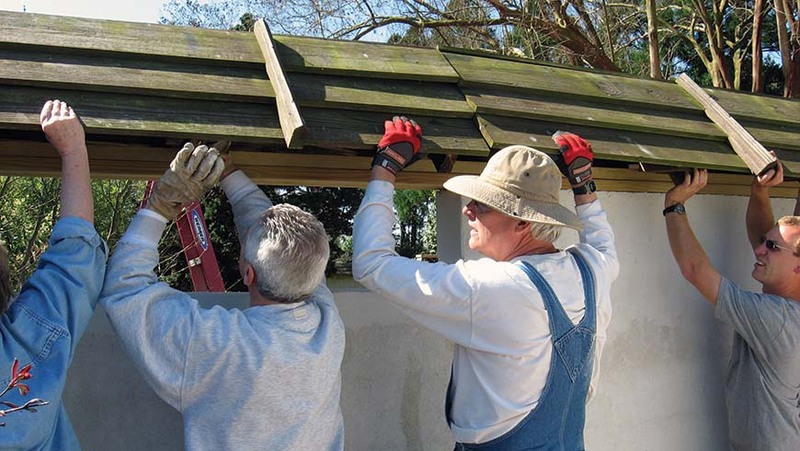 Despite the unusually wet spring and fall, 196 volunteers gave 9,646 hours in 2015. (That's over 1,205 eight-hour days, 241 forty-hour weeks, 4.6 full-time positions.) Be sure to thank a volunteer during your next visit. They're generally the ones wearing a hat and/or gloves and a smile on their faces. This garden's growth depends on them! We thank every single volunteer for every single second. Join us in recognizing these wonderful JC Raulston Arboretum volunteers who contributed over 100 hours in 2015. When you think of volunteering at the JC Raulston Arboretum, you clearly think weeding, mulching, planting, and pruning. And trust me, we do plenty of all that. Our gardening volunteers keep us impressively tidy and well maintained. Our gardens are thriving and we have them to thank. You may not realize we have several other groups of volunteers whose focus is to enhance visitor experiences. Floral designers, labelers, mappers, engravers, and the construction crew, these men and women give their talents to make us look good, keep our visitors safe, and to provide valuable information to anyone visiting the gardens. Thank a volunteer! They make it happen. Do you have a little one that loves to discover critters in the garden? Or do you have a budding chef that wants to learn more about growing and cooking his/her own garden vegetables? How about a young artist or a curious scientist? We have a camp for them! Campers spend their days in and out of the gardens exploring, discovering, learning, and playing alongside staff and interns. What do they do all day? Make paper while learning about trees. Observe and record data for citizen science projects. Create fairy houses nestled under the trees. Paint watercolors inspired by the annual trials and garden ponds. Fill the air with wonderful smells of pesto. Dig in the dirt for worms. Fly around the gardens like butterflies. Registration is underway. Sign up early and save your spot. Find more details and make your registration online at https://jcra.ncsu.edu/camps/.